Young children, while delightful in their innocence and curiosity about the world, tend to put themselves in compromising situations with their inquisitiveness. Supervising adults should do everything in their power to maintain a safe environment for these youngsters – one void of small objects close to the ground that may pose choking hazards for adventurous children. Items such as batteries, certain foods, coins, and balloons should be kept well out of reach. If your child has suffered an injury from choking on a battery while under the supervision of another individual, you may be able to recover damages from that individual for the needless pain your child has suffered. Battery-choking injury attorney Jeffrey Killino can help you obtain the compensation to which you are legally entitled. Please call our offices today at 877-875-2927 to speak with a lawyer about your situation. Batteries, particularly the button-type batteries used in greeting cards, watches, television and other remote-control devices, calculators, and many toys, pose significant choking risks for children. These batteries may also make your child terribly ill with fever, vomiting, and diarrhea. If your child appears to be suffering symptoms of influenza but has been playing with or been given access to batteries, you may need to seek emergency care to determine if these symptoms are the result of swallowing a battery. 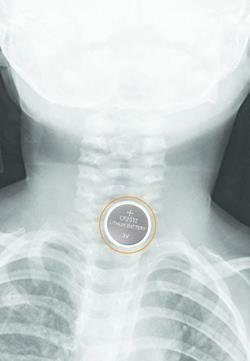 According to the American Academy of Pediatrics (AAP), button batteries can also become lodged in a child’s ear or nose. Whether caught in the throat, nose, or ear, the batteries can release an electric charge, causing hearing loss or serious damage to delicate nose and throat tissues. In some cases, the damage can lead to a child’s death if help is not obtained in time. Batteries may also cause a child injury from battery-acid exposure. Battery acid is extremely damaging to body tissues, so the ingestion of this substance can cause serious esophageal and/or gastrointestinal harm. Any leak in the battery casing can expose a child to severe internal damage. Product liability law provides a form of personal injury recovery for individuals harmed by defective or dangerous products, such as batteries. If a product has been defectively manufactured or designed and your child has suffered injuries as a result, the companies that designed, manufactured, and sold the product may be held liable in damages. A product is defective if it is unreasonably dangerous to the user. If a product cannot be made in a reasonably safe manner, a manufacturer must warn consumers of the product’s dangers. Product liability law requires no showing of negligence on the part of a manufacturer or anyone else in the chain of distribution. Recovery is also not limited to the purchaser of a product. Thus, if your child suffers a choking injury from a battery or battery-containing product purchased by someone other than you, you may still bring a product liability action against the manufacturer, distributor, or seller for injuries your child has suffered as a result of the product’s defect. The manufacturer of a child’s toy may also be liable under certain circumstances for a child’s battery-choking injury. If the toy’s battery compartment has a defective latch that fails to prevent a child from accessing the battery, the latch may be found to have been a cause of your child’s injuries. A negligence claim is another form of personal injury action that might be brought against someone responsible for your child’s battery-choking injury. If the choking accident occurred while your child was under someone else’s care and that person was negligent in supervising your child, you may be able to recover damages from that person in compensation for the injuries your child has suffered. If your child has suffered an injury as a result of choking on a battery while in another’s care, contact child battery-choking lawyer Jeffrey Killino at 877-875-2927 to discuss the filing of an action against those responsible.